The Alco Black Beast Team is proud to be participating in the Hurricane Sandy Benefit Car Show to be held this Sunday, November 25, 2012 at Grill 454 in Commack. Happy Thanksgiving to all our friends but please remember, while most of us had a warm and comfortable place to give thanks thousands of our fellow Long Islanders did not! Homes burned, flooded, destroyed, no place to go but a shelter we can't allow this to continue. The government surely isn't helping. Suffolk County even refused us a Showmobile for this worthy cause, so it's up to us to do something about it. NEW YORK AUTOFEST in conjunction with WBAB, GRILL 454, and Endless Summer Car Shows will be conducting the New York AutoFest Hurricane Sandy Benefit Car Show at Grill 454 in Commack, NY (directions here) on November 25, 2012 from 9am to 4pm. 100% of the proceeds will be donated to Hurricane Sandy Long Island Disaster Relief, a campaign of Newsday Charities, a fund of the Robert R. McCormick Foundation. Newsday, News 12 Long Island and the McCormick Foundation have joined forces to help Long Islanders struggling with the damage, destruction and grief from Hurricane Sandy. The first $500,000 raised will be matched by the Foundation at 50 cents on the dollar. All administrative expenses are paid ensuring 100% of all donations, plus the match, will help Long Islanders rebuild from the devastation. Funds collected will be used ONLY on Long Island to help local nonprofits assisting Long Island Hurricane Sandy victims. If you or your company would like to be a show sponsor please contact New York Autofest at 516-882-5022. There will be superstar entertainment as well. Expect an announcement soon. New York Autofest has set up a pre-registration page. Pre-registration is $18, while the vehicle admission day of show is $20, there will be no club discounts for this show, sorry. If you cannot make it to the show you can use this same form to donate whatever you feel you can afford. In addition, if you wish to contribute more for your registration you can do so on this same form. The first 200 cars will receive an oversized commemorative dash plaque. If you pre-register you are guaranteed a dash plaque. This large 4x4 printed aluminum plaque will stand out in your collection and let everyone know you helped Hurricane Sandy victims on Long Island. •	Rick Caran's Team Jilli Dog, watch these pooches play poker! •	Howard Kroplick will bring the ALCO-6, winner of two Vanderbilt Cup Races and raced in the first Indy 500 in 1911. •	Parise Racing will be at the show displaying their Pro Mod Dragsters and collecting clothing and other items for Sandy victims. Read all about it below. •	Ever seen a Spyker C8 Spyder? You will at this show! •	Rescue Ink will be present to help draw attention to the plight of animals whose shelters and homes have been destroyed by Sandy. •	The In-N-Out funny car will once again be at our show. •	And lots more! Check nyautofest.com for regular updates. Four live bands will be coming to entertain us. We've set up a web page just for them! Now here's some hot news! New York AutoFest is combining forces with Dina and Andrew Parise of Parise Racing, Long Island’s own Husband and Wife Pro Mod Drag Racing team. Parise Racing is calling on you to help those affected by Sandy! Parise Racing has instituted a campaign to collect much needed items for families and for school children affected by Hurricane Sandy. NEW YORK AUTOFEST has been asked by a number of people if, in addition to money, we would also collect such items. Well here is your chance, Parise Racing will be collecting items listed below at our show on November 25. We collect monetary donations for Newsday's Hurricane Sandy Disaster Relief while Parise Racing collects much needed items. What a perfect partnership! As you know, due to Sandy residents are in need of supplies! Parise Racing 'REVS UP' this campaign by getting the Kids going with School Supplies! But, keep reading! Much more is needed! You can help! Lets help get everyone's lives back to normal! 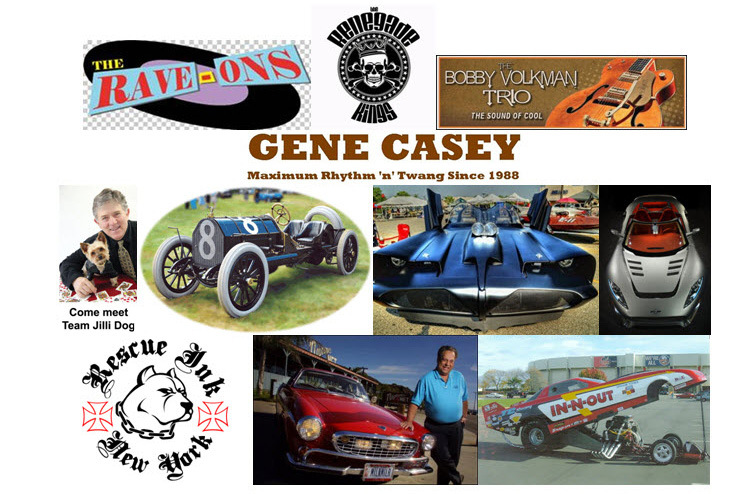 So head out to the show to see some amazing vehicles and bring a few items to help out your fellow LI residents! just wanted to thank you for all the storm updates…..your newsletter was a lifesaver.. Thank you Howard for coming to the show Sunday and for your most generous donation. As always the ALCO was a huge hit and big crowd pleaser whenever she started up.